Elizabeth Warren called into MSNBC’s “The Rachel Maddow Show” Tuesday after being reprimanded by the Senate for her speech against Attorney General nominee Jeff Sessions. Senate Majority Leader Mitch McConnell invoked a rarely used rule to silence Warren for reading an old letter from Coretta Scott King on the Senate floor, criticizing Sessions, that was already in the Congressional record. 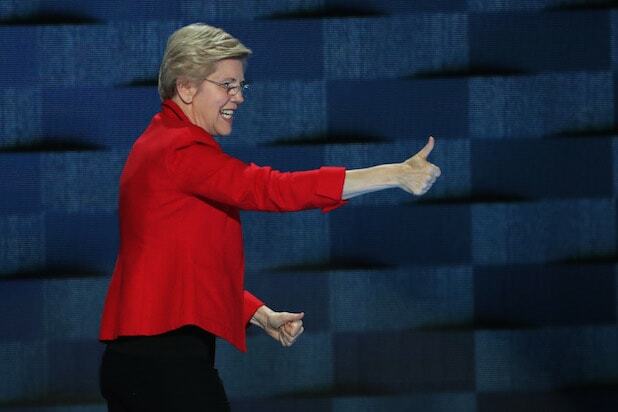 “I was speaking about Jeff Sessions and, what I believe to be, his complete lack of qualification to be Attorney General of the United States,” Warren told Maddow. Scott King wrote the letter in 1986 to oppose Sessions. By reading it, Warren was apparently in violation of Rule 19 for impugning the character of a fellow senator, and Maddow asked to explain what that means. Maddow mentioned that it’s odd that the GOP would want to turn this into a political issue, especially since Warren was trying to read a letter from Scott King.